Leonardo DiCaprio stars as a slick teenage con artist in "Catch Me If You Can," which is based on a true story. 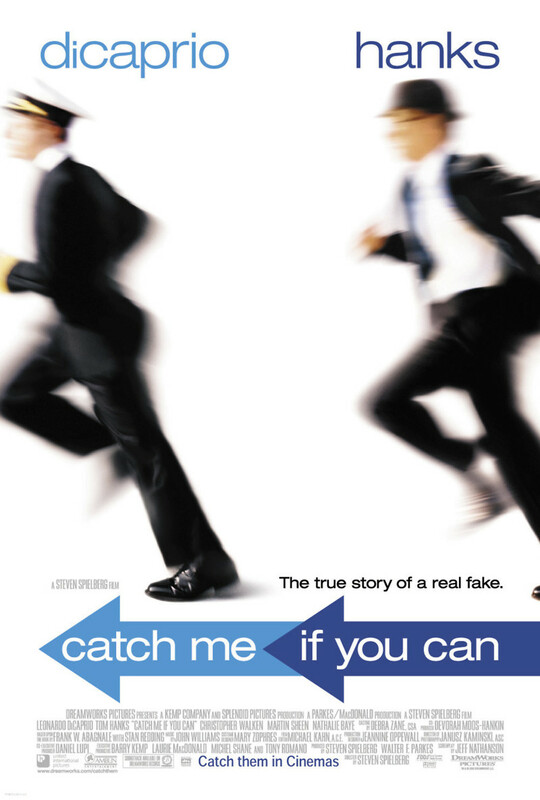 A brilliant young man who does not apply himself well in school, Frank Abagnale Jr. impersonates professionals and learns the craft of counterfeiting, gradually taking his schemes on a large scale out of a desire to help his family and sheer boredom, not to mention a sheer fear of getting caught. Throughout the movie, Frank is pursued relentlessly by FBI agent Carl Hanratty, played with dry humor by Tom Hanks. The largely light-hearted film barely earns its PG-13 rating, with little in it to disturb younger viewers, though parents might not like the fact that the film almost seems to condone Frank's misdeeds.